Austin, TX is often ranked the best city in Texas to live in for many reasons. We wrote a blog on that topic previously, but we want to focus in on all the amazing small businesses that keep a heavy focus on staying local and community-oriented. At AOMA, our mission is to transform lives and communities, so we firmly believe in businesses that think about our community too. 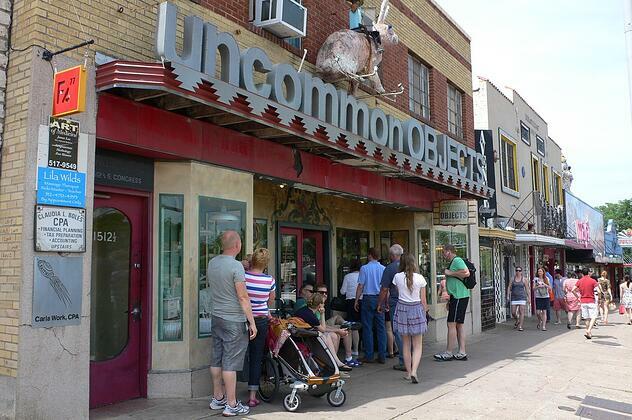 We are so fortunate to be located in South Austin, surrounded by so many local community minded merchants! If you’re new to Austin, or just visiting, we recommend you stop by these fine establishments that are local and community minded. Founded in 2011 by Matt Shook, Juiceland is a diverse juicebar offering healthy fresh pressed juices and smoothies. They also offer healthy snacks and small meals ready to go. 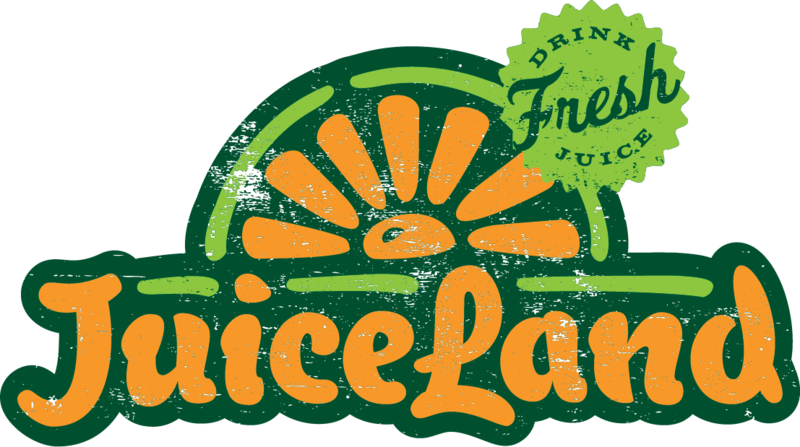 Juiceland is iconic to Austin as a place to recharge with refreshing juice or a smoothie. Perfect place for a health conscious juice, salad or energy boost. 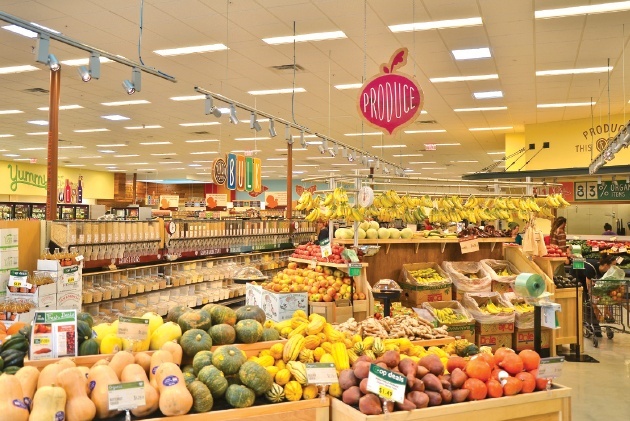 Wheatsville is a food co-op located off of South lamar and Ben White Blvd. They feature a large-selection of locally grown goods and organic produce, specifically from Austin’s own Johnson’s Backyard Garden. They also have a wide selection of vegan/paleo products, a hot food bar, salad bar, deli and smoothie counter. They even have nitro locally-sourced cold brew on tap. Perfect place to grab local-made eats, treats, produce and beverages. 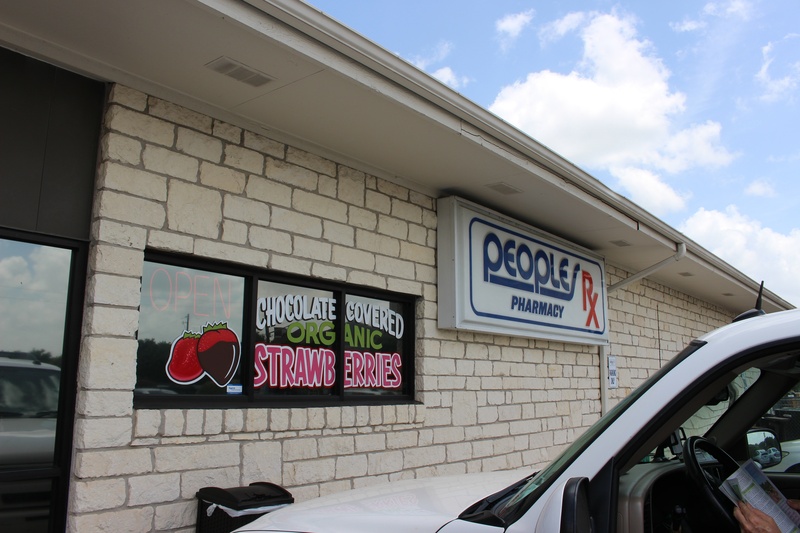 People’s Pharmacy takes a natural approach to your local pharmacy. They sell a selection of paleo-friendly and vegan-friendly foods as well as natural supplements, with trained naturopaths on staff. They also serve food at an in-house deli counter which features soups, smoothies, sandwiches, breakfast tacos and more! You can also get health testing, coaching and meal plans done to help you achieve your health and wellness goals. 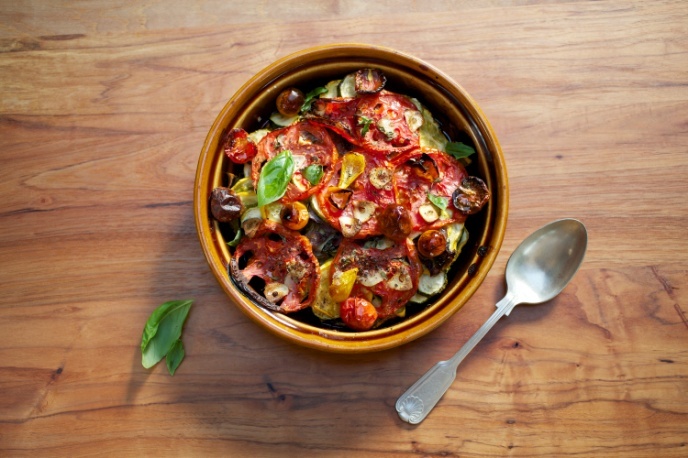 Perfect way to fight allergies and stay healthy! 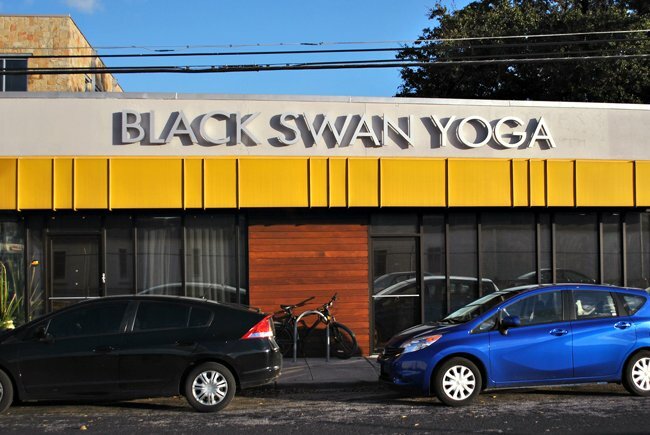 Black Swan Yoga has several locations in Austin and yearly named to the list of Austin’s best yoga studios. Their studios feature lobby-less heated yoga rooms and generally follow a vinyasa flow format. Best of all their classes are donation-based! Their south location is just across the street from AOMA on West Gate Blvd. Perfect way to de-stress and detox! Crux Climbing Center was founded by two local Austin climbers who designed the facility to be more of a community space than a gym. 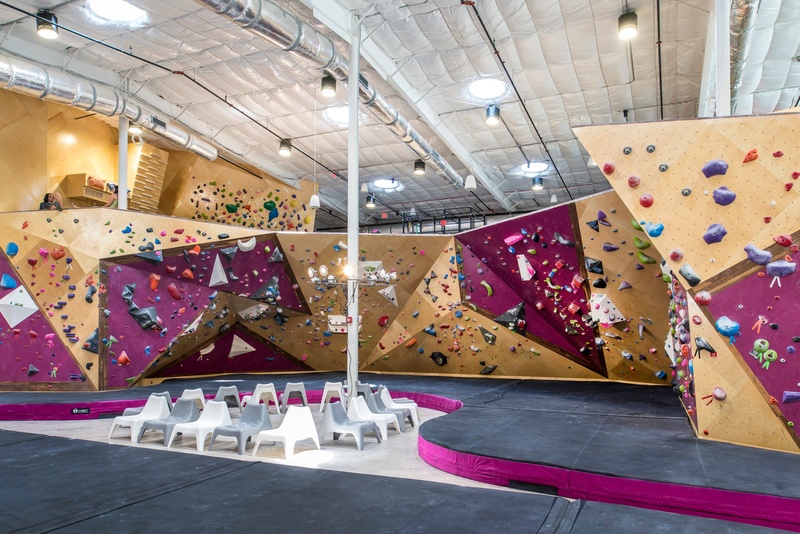 Crux features family friendly climbing for all ages including space for strength training, yoga, and fitness classes. The indoor 22,000 square foot facility in South Austin has plenty to do so you’ll never be bored! Perfect weekend activity (that’s indoors!). El Chilito is one of Austin’s favorite taco stands. 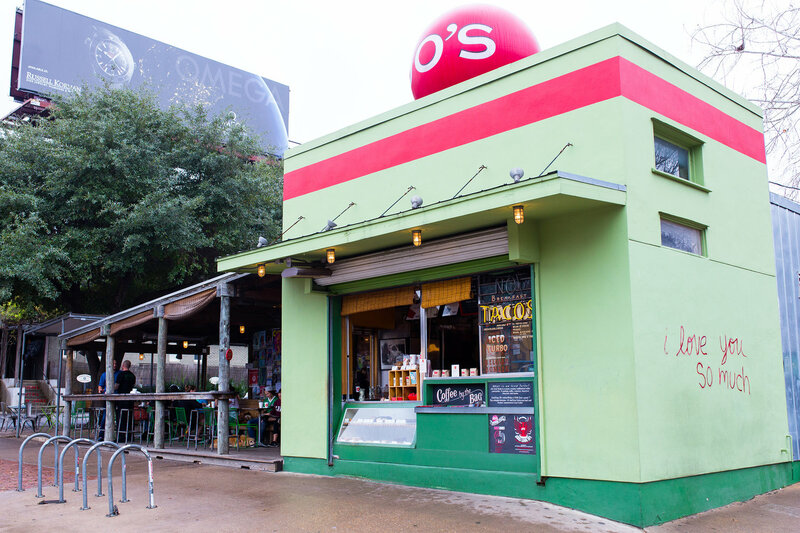 They’re known for their “wonderful interior Mexican” food such as delicious and authentic breakfast tacos, migas, and agua frescas! Each location has a full coffee bar and outdoor patio seating! Perfect spot for a quick lunch pickup or coffee break. 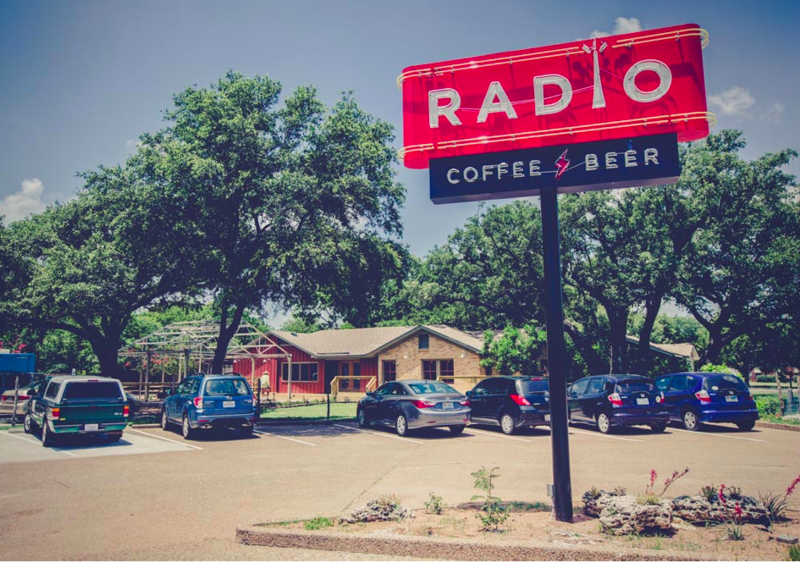 Radio Coffee is located in a refurbished classic home in South Austin. You’ll find many of our AOMA students there studying on any given day! They have a large outdoor patio that’s climate controlled! They also show movies, feature live music, and generally kid and dog friendly. Radio also serves a large selection of craft beer, kombucha and coffee. You’ll also find Vera Cruz taco truck on site as well. Perfect place for a study break, or drink with friends. 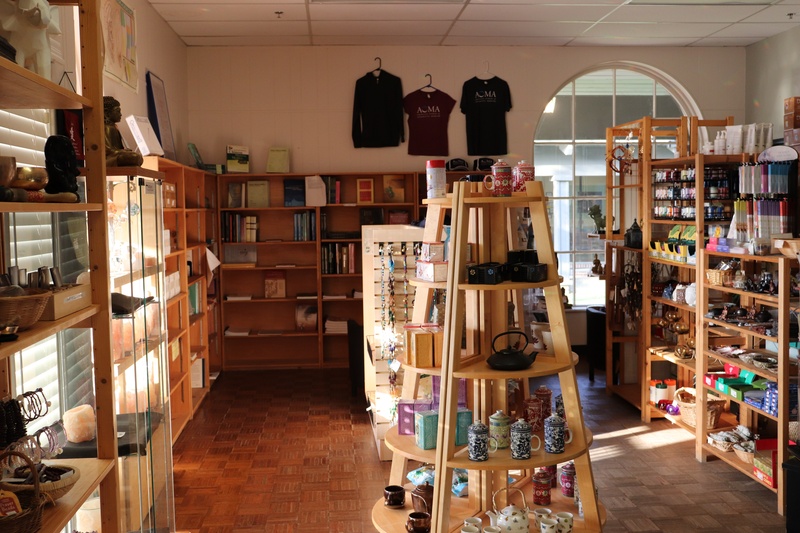 If you’re in town, stop by our herbal medicine dispensary and retail store for a selection of over the counter and prescription Chinese herbal formulas, gifts, snacks, drinks, meditation pillows and so much more! Each of our stores has a licensed Chinese herbalist on staff to help you with any questions pertaining to Chinese herbs. They’ll be able to answer any of your questions! 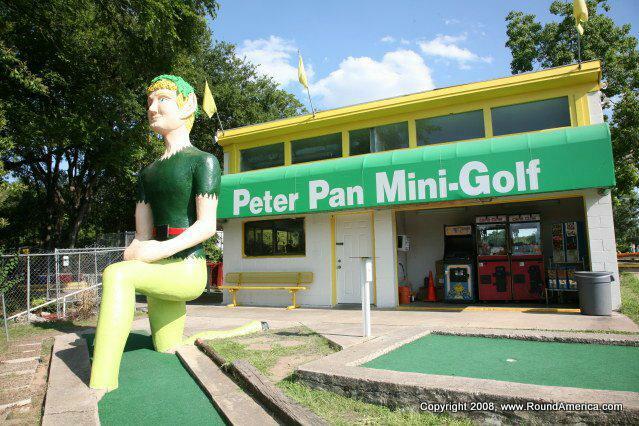 We have a south and north Austin location to choose from! Want to learn more about Chinese medicine? Download our guide! 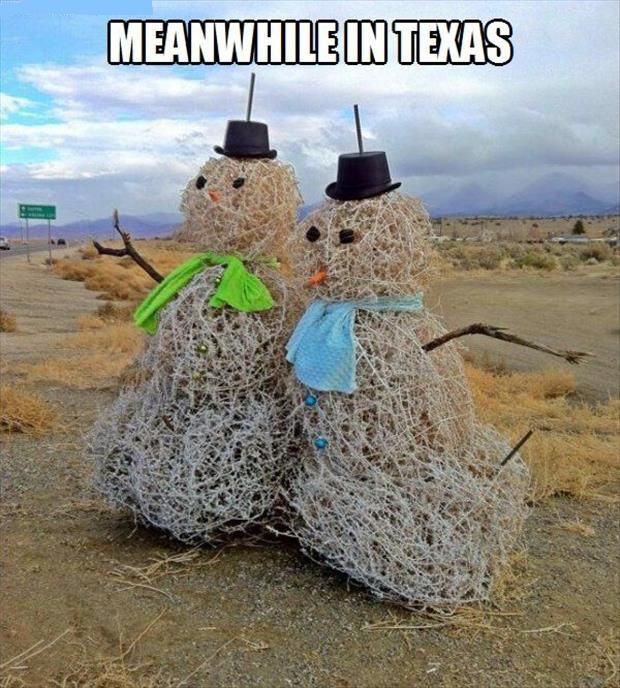 Those of us that live in Austin LOVE it and the ones that visit always wish they could stay. Some call Austin “weird,” or the “blue dot in a red state,” while others call it the “Live Music Capital of the World.” Regardless of what you have heard about Austin, one thing is certain - it is VERY different than the rest of Texas for a number of reasons. 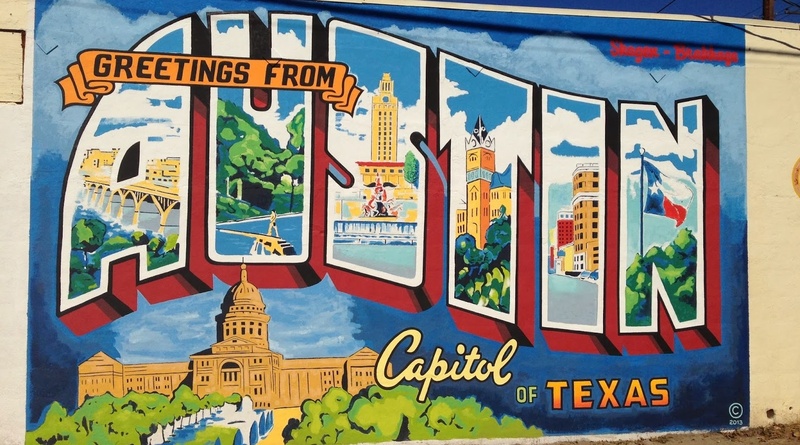 Austin has its own culture and is known as a tolerant, open-minded city that attracts a wide variety of people –college students, tech entrepreneurs, artisans, nature enthusiasts, alternative health practitioners, and many others. To top it off, Austin was ranked the best place to live in 2017, according to US News and World Report! 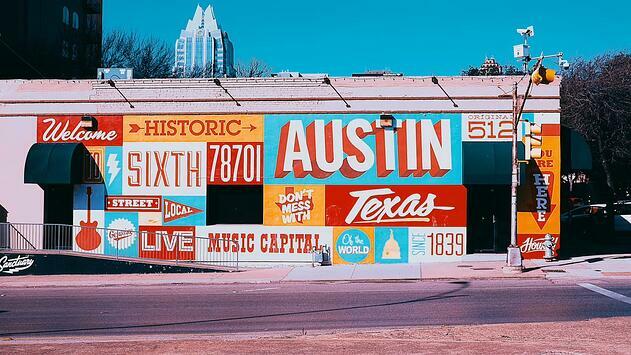 Let’s be honest here, we couldn’t agree more that Austin is the best, which is why we came up with 5 reasons why Austin is strikingly different from (and arguably better) than the rest of Texas. What you’ll notice about Austin that’s different from the other concrete-jungle cities in Texas is the vast amount of parks and nature preservations located close to the city center. Austin caters to any outdoor enthusiast with prized urban nature conservations such as the Barton Creek Greenbelt. Spanning a length of 7.9 miles with gorgeous trails and swimming spots along the way, “the greenbelt” is considered one of the best hiking trails in Texas. 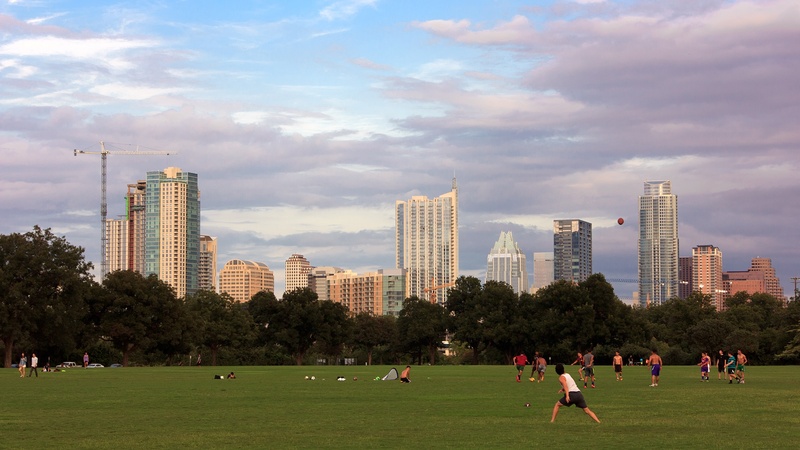 Zilker Metropolitan Park (350 acres), one of Austin’s most used parks, is just 2 miles from downtown. 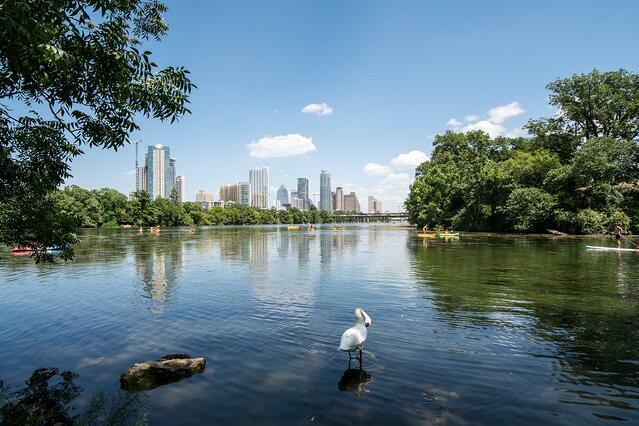 Zilker connects to the Barton Springs swimming pool and Lady Bird Lake, where anyone can paddle board, kayak, or canoe. Such centrally located access to outdoor recreation is rare in most Texas cities, making Austin even more special. Oh, and did we mention how dog-friendly Austin is? People love to bring their pets most anywhere, so you’ll find many outdoor restaurants and cafes offering dog-friendly patios! You’ve heard Austin is the live music capitol of the world, but have you experienced the live music here? Austin hosts large scale music events every year, such as Austin City Limits (ACL), South by Southwest (SXSW), and the Pecan Street Festival. 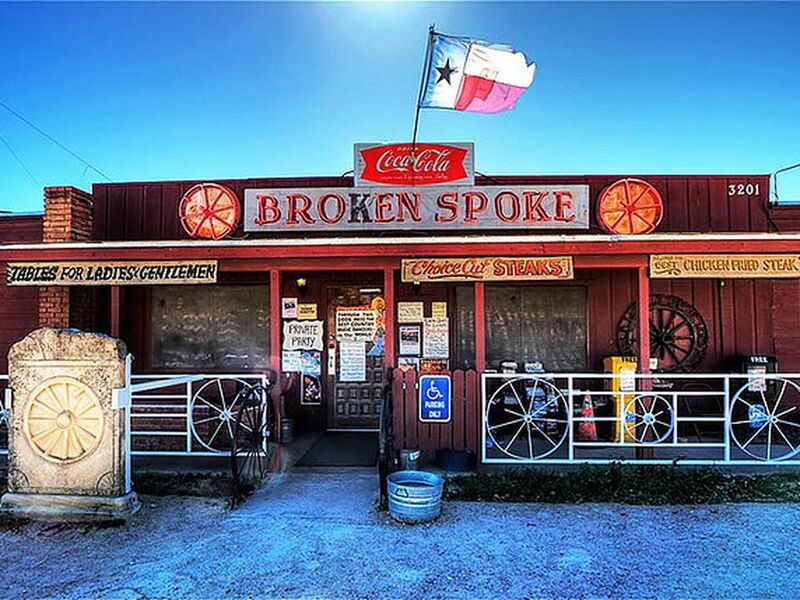 Besides the large mainstream festivals hosted here, there is always live music being played at other smaller venues such as the Broken Spoke for country and two-stepping or the Elephant Room for an eclectic basement with live jazz. We have every kind of music you would want to hear, and more you didn’t realize you would like. 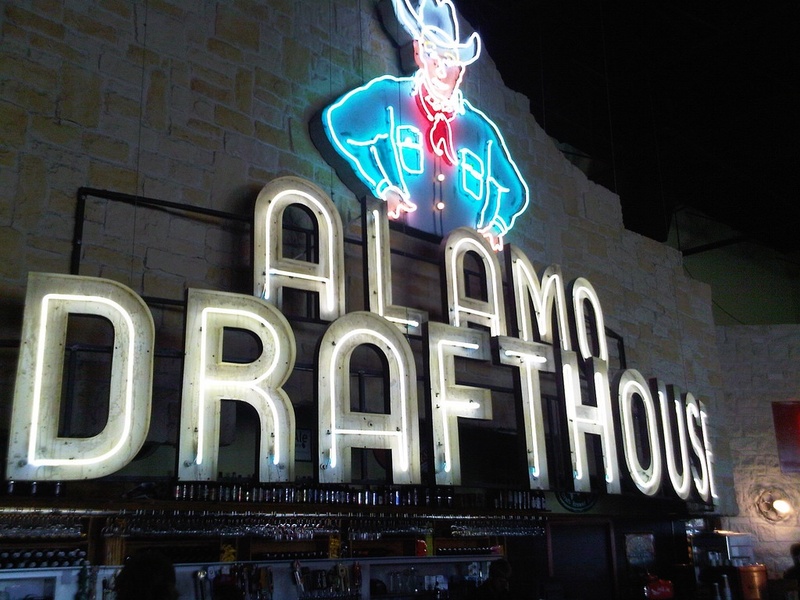 With a venue at almost every corner, Austin has your entertainment covered for a night out on the town. Austin is considered the technology hub of Texas spawning with growth from companies such as Dell as well as an explosion of new companies formed during the dot.com era. Today, we host a full-blown tech ecosystem that many consider 2nd best to Silicon Valley in the United States, and dubbed the “Silicon Hills”. Austin is home to some of the newest up and coming high-tech startups as well as a large presence by many national corporations like Apple, IBM, and AMD. Many of these companies also embrace alternative and renewable energy sources. In addition, Austin was also chosen as one of the first cities in the country to offer Google Fiber access for its residents. Austin’s economy thrives on local merchants such as coffee shops, micro-breweries, farmers markets, boutiques and local art studios. In addition, some of these local ventures have taken off and grown to national prominence such as Whole Foods Market, Kendra Scott, Tito’s Vodka, Chuy’s Restaurant, and YETI Coolers. Austin is a city where all dreams are possible, where small businesses get bigger, and where consumers are more conscious of the products they buy with the intention of keeping the economy balanced. Let’s not forget to mention that our local and organic food movement is prominent with many local farms, herbal shops and community gardens. Trust us when we say there are more than enough places to discover here and whatever it is you like, we’ll have it! Austin’s residents tend to be healthier, fitter, and more interested in alternative health therapies. We have a plethora of yoga studios, group fitness classes, CrossFit gyms and running groups. Because of the wide variety of residents in Austin, we have even more variety of health care options for those residents, such as acupuncture and reiki practitioners, as well as meditation and nutritional classes. Our city also provides many restaurants and food trucks that cater to our growing population of vegans and vegetarians. But just so you know, we love our breakfast tacos, and no matter how healthy you are - they can be hard to resist! Still not convinced Austin is the best? Guess you’ll just have to come see for yourself! I'm both anxious and excited. It's like going back to summer camp—I'm not sure if my friends from last year will be there, if the camp counselors will be nice, if the lunch lady will be serving mystery meat. I've been out of acupuncture school for less than a year, and while part of me is still trying to recover and adjust to working, another part of me is beginning to stir again—the student inside. It seems that in our profession, despite all different backgrounds, educations, specialties and interests, we have that in common. We love to learn! 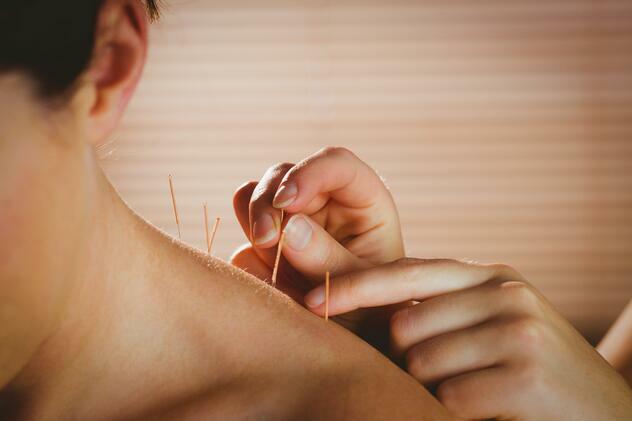 Acupuncture and Oriental Medicine are a lifelong study. The more I learn, the more I realize how much I have yet to learn. I've had to remind myself that it will take time and I have a good solid base to build on. The beauty of this reality is that we will just keep getting better—that's the plan at least. It can be incredibly easy to find a pattern, a groove, a needle combo that does the trick. Why mess with it if it works? What I found was the Southwest Symposium in Austin, TX was more than just a way to get continuing education units, it was a way to get excited about the medicine again, to collaborate with like and different minds, to see old friends and meet face-to-face with people, who up until now, had been a tiny picture on Facebook. So I dusted off my notebook, gathered some pens and checked my expectations at the door. I was thrilled to see familiar faces and meet people I'd only know by name and reputation. What an incredible experience to be in this space that is buzzing with the collective qi of students and practitioners. In private practice I find that we can become a bit isolated. 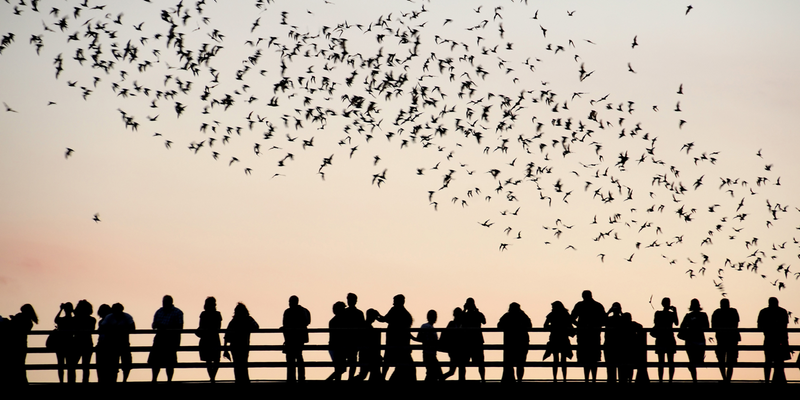 The graduate school environment is so unique—bouncing ideas off of one another, learning from each other's successes and mistakes. Then, for many, we go into practice either alone or with people of different disciplines and the collaboration shifts, for it is mainly our own successes and failures we learn from and online social networking we lean on. Vendors lined the exhibition hall of the Symposium – wall to wall with herbs, needles and gadgets galore. People would break off into little groups, catching up with old friends and making new connections. There was a lot of talk about the need to invest in our medicine, and come together to help protect our scope of practice, safety issues with unregulated needling practices and how to get involved. And this was all outside of the lectures! There is something so reaffirming and supportive about hearing groups of people chatting about harmonizing the Ying and Wei over coffee and mixed nuts. Or knowing exactly what someone is saying when they say they felt that the esoteric Heart Shaoyin pattern changed their practice. Where else could you say, “I really love this herbal decoction for phlegm misting the mind, it really opens the orifices” without vacant, slightly horrified stares. We're not always on the same page, but we're at least using the same book. The speakers of course were fantastic and covered a broad range of topics and modalities. You could really choose your area of interest—needling, herbs, qi gong, tuina or some combination. So much to choose from, esoteric, Japanese or Nei Jing style for your needling curiosity, with epigenetics, hormesis and aging, with some facial diagnosis in between. Regulating cycles, treating pregnancy and pediatric tuina if that suited your practice's focus. If phlegm gets you stuck, there was an herbal course for that. There was even a way to get those ethics CEUs covered. So while it's very convenient to sit in front of our computers and get those needed CEUs, I'm starting a personal practice of attending the Southwest Symposium as a way to stay connected. Connected to my community, to my medicine, to my inner student. About Lauren St. Pierre, MAcOM, L.Ac. A graduate of AOMA Graduate School of Integrative Medicine, Lauren is in solo private practice with Earthspring Acupuncture, PLLC as well as Texas Center for Reproductive Acupuncture. She is also working with AOMA as a Graduate Teaching Assistant in both clinical and didactic courses while continuing to work with The American Cancer Society. Lauren has lived in Austin since 2006 by way of Lake Tahoe, California. She counts Austin as her home with her husband and two Boston terriers. MYTH 1: Austin is always hot. TRUTH: Austin is hot during the summer. I moved to Austin,TX from Massachusetts in July of 2011, which was later named the hottest, driest month in Texas’ recorded history, and it was brutally hot. The grass was bleached pale yellow and wildfires popped up around the city, in spite of the strict burn-ban, which extended so far as to prohibit Independence Day fireworks. After a few months I learned that such high temperatures are an anomaly for Austin, which generally boasts somewhat mild weather for much of the fall, winter, and spring. Unfortunately, I’d already joyously donated all my cold-weather wear before heading south, so sometime in November I had to reevaluate my wardrobe and purchase much of the gear I’d gotten rid of. Since living in Austin, I’ve spent Thanksgiving in a wool pea coat and Thanksgiving in a tee shirt…the weather here can be unpredictable, except in its predicable variety. MYTH 2: If you don’t like tacos or BBQ, you might go hungry. MYTH 3: Austin doesn’t have public transportation. Here’s the caveat, and it’s a big one: people who don’t have cars and instead use public transit often need to plan their daily commute in advance, and may find it easier to live closer to downtown. If you have personal experience with using Austin’s public transportation as your method of getting around, we welcome your comments and opinions! As important as the presence of public transportation in Austin is its demand due to the growing population. As Austin continues to grow, the city is continuing to improve its public transportation offerings and make improvements to existing systems. I am optimistic that our city planners and local businesses will make this happen. 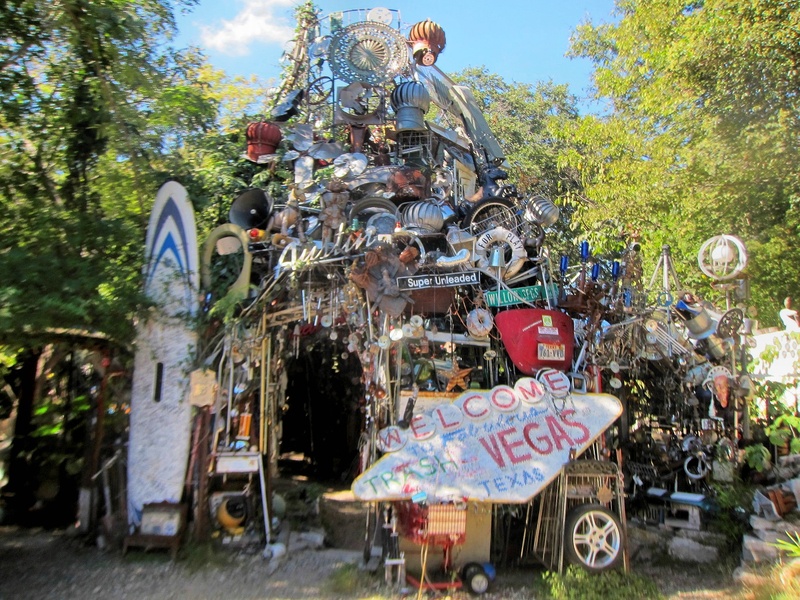 TRUTH: Austin is unique, and so are its inhabitants. You may have heard the city’s popular slogan “Keep Austin Weird”, and wondered what the heck people mean when they say this. In his book “Weird City” Joshua Long explored this very question, and shows that people mean many different things when they use this phrase. Sometimes people are referring to the music, or local icons like Willie Nelson and Leslie, and other times people are referring to the city’s politics or aesthetics. 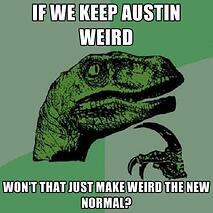 When I hear people talk about Austin’s “weirdness”, it usually has an intangible, nostalgic quality to it. Legend has it that the slogan began as a bumper sticker imagined up by a guy named Red, who (according to Joshua Long) “didn’t want to make money. He didn’t want to be famous. 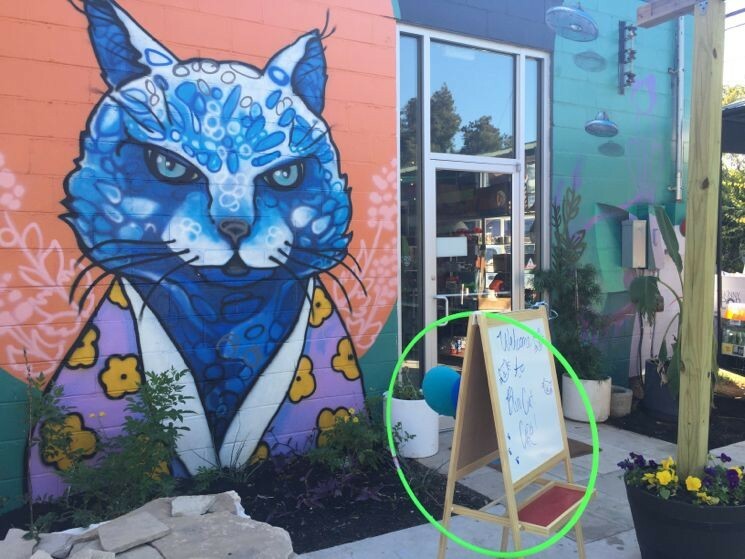 He was just worried that the city he loved was becoming over-commercialized, over-materialistic, and less 'weird'.” Since then, “Keep Austin Weird” has been adopted by the Austin Independent Business Alliance to promote local business and economic revitalization that preserves the flavor of the city, while allowing it to evolve. Long claims that “there is a kind of a self-perpetuating, self-fulfilling prophecy of nonconformity now in the city” related to this sentiment. 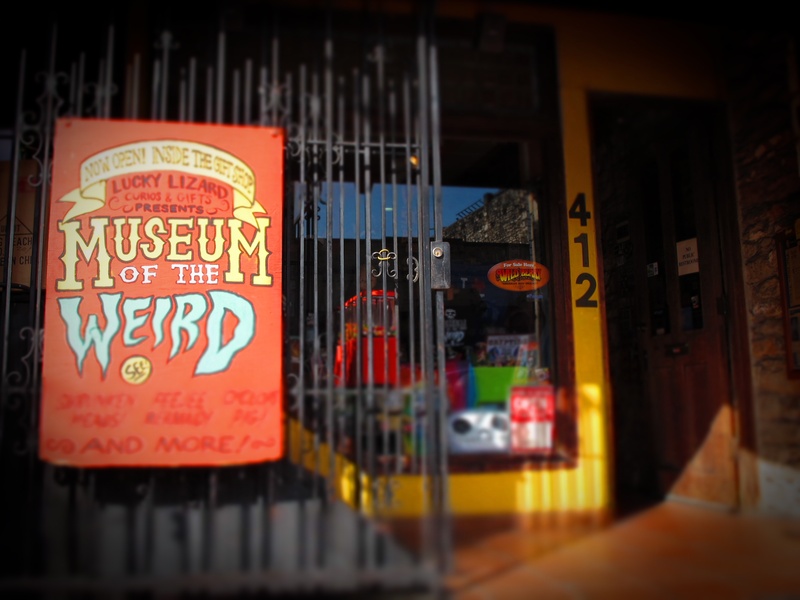 What this non-conformity looks like varies a lot depending on who you ask, but it’s my experience that many people in Austin are here because there’s a sense of inclusivity that accompanies the city’s embrace of “weirdness “. Maybe that does make us weirdos, but I like to think of us as movers and shakers and artists and non-conformists, who are trying to build a city-wide umbrella of inclusivity. Elizabeth Arris is an advanced student within the Master of Acupuncture & Oriental Medicine program. Prior to relocating to Austin to attend AOMA, she earned a BA in Biological Sciences at Smith College. When not in class, Elizabeth serves as Student Ambassador, administering the InterTransform Mentoring Program for new students. There's no doubt that Austin,Texas is a popular place – recently topping the list of the fastest growing cities in the U.S. With such a dynamic environment, it's no wonder that many students choose to pursue acupuncture school at AOMA. In our first post in the Moving to Austin series, we covered the basics of the Austin rental market. However for students looking for alternative housing in Austin, many opportunities exist including roommate arrangements, house shares, and cooperative living. For students seeking to limit their housing costs, finding a roommate is one of the best options. New residents have a variety of resources available when seeking roommates, including well-known sites like craigslist.org and roomster.com. These sites provide an opportunity to screen and to connect with potential roommates online. AOMA offers support in the form of a biweekly Housing Digest that enables new students to connect with future classmates and potential roommates in a secure platform. Throughout the year, current students also post openings for roommates online via AOMA's Housing Opportunities page and LinkedIn group. When considering a potential roommate, it's important to be clear about your housing preferences. Taking time to consider lifestyle factors like school and/or work schedules, cleanliness, socializing, pet ownership, and personal habits is essential to ensuring a harmonious living environment. Additional factors to assess include the terms of a lease and/or approval from the landlord or property manager. Housing cooperatives (or “co-ops” for short) are member-ship based legal-entities that own residential real-estate. Becoming a member typically grants one the right to live within the co-op house or building. A number of housing cooperatives and co-housing communities exist in Austin. Many of these co-ops feature communal living environments where multiple residents occupy a single house or building and work together to manage/maintain the property. For residents, the benefits of co-ops can include reduced housing costs and increased social interaction with roommates. When considering this type of living situation, it's important to account for personal privacy and space needs. Information about housing cooperatives in Austin can be found through the Austin Co-op Directory. Alternative housing may not be for everyone. Depending on your personal or family needs, more traditional housing may be a better fit. No matter your preferences, Austin has a wide variety of options available to support your lifestyle. Justine is the Director of Admissions for AOMA's graduate programs and works regularly to support new students in their transition to AOMA & Austin. A native to of the east coast, she relocated from New York five years ago. Since moving to Austin, she has lived in four different zip codes and is happy to share her personal knowledge of the city with newcomers. AOMA’s Master of Acupuncture & Oriental Medicine program is a transformative educational experience that prepares students to begin careers as professional acupuncturists and herbalists. The program combines extensive clinical education with rigorous & comprehensive coursework in acupuncture theory & techniques, Chinese herbal medicine, biomedicine, mind-bodywork, and Asian body-work therapy. New students can apply to begin the program at three points per year: the summer, the fall, or the winter quarters. However, the summer term often sees the smallest incoming cohort with typically about 15 students starting the master’s program each July. For new students, a small class size fosters a tight-knit sense of community, allowing you to get to know your peers very well. The summer quarter is only 8 weeks long. As a result, students’ academic load is often is lighter in the summer – meaning students frequently take fewer total credit hours than during other terms. Starting as a new student in the summer term with a lighter load is a great way to soften the transition to graduate school – especially if several years have passed since you were last in a classroom. You’ll become acclimated to the classroom environment, learn to incorporate school into your personal life, and “get into the groove” academically with fewer courses to balance. Summer in central Texas is often the season when many locals take it easy or even take vacations. 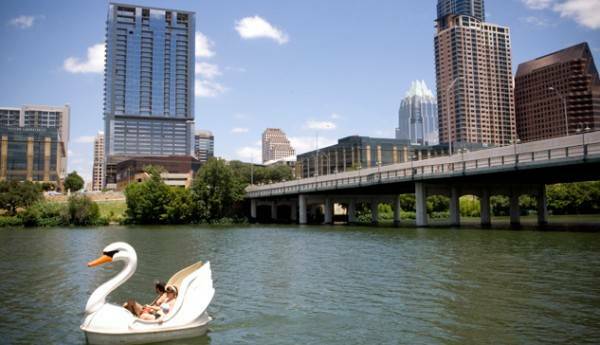 Why not spend your summer in Austin,TX getting to know the city and enjoying the laid-back lifestyle? You can dodge the summer heat by spending your days inside air conditioned classrooms pursuing your passion and taking study breaks at beautiful Barton Springs! Begin your journey this summer with classes starting on July 20, 2015! Why Everyone is Moving to Austin - An Infographic! Frequently cited for its friendly people, progressive thinking, and laid-back lifestyle, it's no secret that Austin is an attractive place to live. Outdoor concerts, farmers markets, and numerous street festivals preserve a small-town feel, while the thriving business sector and bustling downtown generate genuine metropolitan excitement. This vibrant combination has many folks moving to Austin. Check out the infographic below for a detailed look at all that the city has to offer. Enjoy! Moving is no small feat - finding a place to live, packing up your belongings, recruiting helping hands, finding a friend with a truck, tying up the pieces at your old place and remembering all of the little details for getting settled in smoothly at a new home. It is no wonder that moving is often considered to be one of the most stressful events in life! 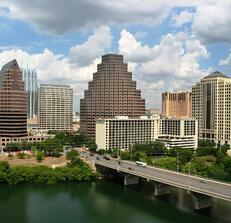 Austin is a rapidly growing city with much to offer new residents. Depending on how far you are moving (i.e. across town vs. across the country); the process of finding a place to live may be different. No matter where you are starting from, the following insights will help you stay organized as you navigate the Austin rental market. Knowing your move-in date will help you determine when you need to be ready to sign a lease. Some apartments only list their availability 30 days prior to a potential move-in date whereas others list availability 60 days prior. Privately owned houses, condos, and duplexes usually have openings based on 30 day notices, possibly even shorter times, and are generally looking for quick move-ins. As a general rule of thumb, it is best to start your housing search 45-60 days before your anticipated move date. Before starting your search, it’s important to have an idea of what you are looking for. Most apartment communities in Austin offer one year leases. Some properties may offer nine and six month leases, however leases lasting less than six months can be very difficult to find. Many apartment communities charge an up-grade fee for leases shorter than one year, and such fees can be as high as an extra $150 per month. Privately owned properties like rental homes or duplexes almost always offer one year leases. An alternative option for a shorter term lease is to sublet. Subletting a property can offer a temporary home-base while you explore Austin’s many neighborhoods and search for longer-term accommodations. When you have found a place you like and you are ready to submit an application, it is important to keep in mind that there will be associated application fees and deposits required. Planning for these fees will help you create a realistic moving budget. Application fees can range from $35 to $150 and will vary depending on location. These fees are applied to the cost of running criminal background and rental history checks for potential tenants. A rental deposit is typically required to be paid to the property owner or management company. Deposit amounts are variable and can range from $200 to $1,000 per unit. Newer apartment communities that offer more amenities typically ask for higher rental deposits. Some apartment communities may include an “administrative fee” as part of the deposit that is frequently non-refundable and may be as much as half of the deposit. However, this type of fee is usually only found in larger, newer apartment communities. Owners of houses, duplexes, and condos often ask a new tenant to deposit the first and/or last month’s rent up front. With many animal-loving residents in Austin, pet deposits are a very common feature of the rental market. Amounts and specific policies may vary depending on individual properties; though, a typical pet deposit will be around $300 - $500 for one pet. Half of this deposit is usually refundable while the other half is typically a non-refundable cleaning fee. Having more than one pet usually incurs additional deposit costs (often $250 per additional pet), and many communities limit the number of pets allowed to three. In some cases apartment communities may charge pet rent instead of a deposit. Pet rent is a monthly fee paid in addition to rent and can vary from $15 - $50 per month, per pet. If you have furry friends, it’s important to ask about a property’s pet policies before applying. Before paying any deposit, it is important to verify with the leasing agent whether a deposit is refundable if the rental application is cancelled, withdrawn, or refused. Once an application is approved, the rental deposit is no longer refundable. When considering a potential tenant’s credit history and income, apartment communities typically expect to see that an applicant’s monthly income is approximately three times the amount of monthly rent. Combined income from roommates, financial aid received by students, and potential co-signors’ income are additional factors that may be considered. Most communities will allow co-signors for applicants that do not meet the earnings criteria. Co-signors are generally expected to own a home and earn five to six times the amount of the unit’s monthly rent. Depending on employment status, applicants may be required to present paystubs, income tax information, bank statements, or confirmation of financial aid eligibility to verify income. Applicants with less than 6 months of rental history or a low credit-score may be required to have a co-signor on a lease or pay an additional rental deposit. Factors such as a history of broken leases, evictions, or a criminal background will generally result in co-signors being refused. While apartment communities always perform criminal background and rental history checks, not all private owners do so. New residents should discuss the qualifying rental criteria in detail with the apartment community or property owner during the application process. Apartment rental rates are generated based on city-wide occupancy rates, meaning prices can fluctuate frequently. Rental prices will also vary based on the type of unit available (e.g. number of bedrooms, square footage, amenities, etc.) and exact location. In addition to checking rental prices for specific properties online, it is also advisable to contact a property directly to verify the current rate and to inquire about any move-in specials that may be offered. Cost of living calculators can help new residents moving from another city or state to estimate housing costs in Austin. It’s always ideal to visit a potential house/apartment in person before making a commitment and signing a lease. Unfortunately, this is not always an option if you are moving from a different city or state. Recruiting the help of a leasing agent or apartment locator can help to narrow down your options and find a place that meets your criteria and standards for quality of life. Many apartment locating agents in Austin offer free services to clients looking for housing and it’s important to choose a locator that is responsive, professional, and respectful of your housing needs. In addition to individual leases, alternative housing opportunities exist including roommate arrangements, house shares, and cooperative living. 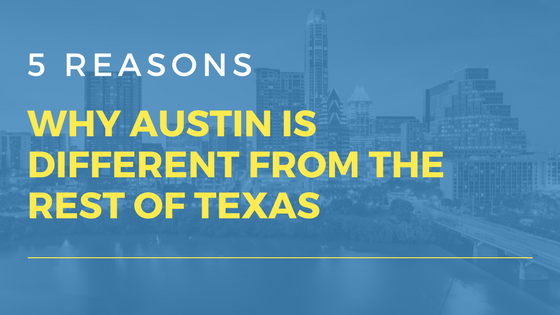 Check out our next blog post in the Moving to Austin series for more information on this topic! Michelle Gonzalez is an Austin-based real estate agent and AOMA student. Prior to beginning her studies within AOMA’s master’s degree program in acupuncture & Chinese medicine, Michelle worked as a full-time licensed real estate agent at Team Real Estate. She has years of experience and expertise within Austin’s rental and home-buying markets. As AOMA’s Admissions Coordinator, Jillian Kelble works one-on-one with new students to support their transition to graduate school and is the administrator of AOMA’s bi-weekly new student housing digest. In addition to her role within the Admissions Office, she has also worked as a property manager for a privately owned rental property in downtown Austin. A transplant from the west coast, Jillian brings personal insight about the process of relocating to her work. AOMA is the first single-purpose school of acupuncture and Chinese medicine in the nation to receive regional accreditation. AOMA is accredited by the Commission on Colleges of the Southern Association of Colleges and Schools (SACS) to award the master's degree. Regional accreditation makes it easier for AOMA students to transfer credits and degrees to other universities and programs. 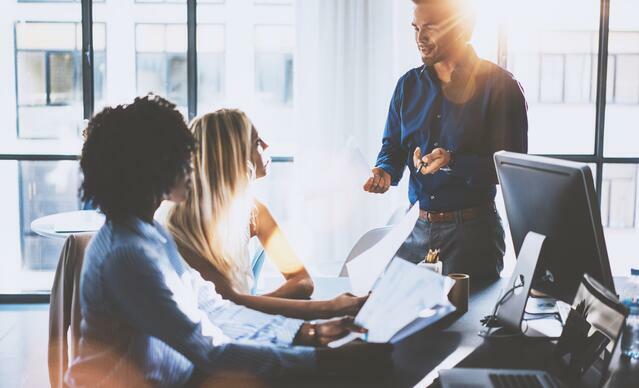 Because the institutional standards for regional accreditation are rigorous, regional accreditation also ensures a level of educational quality for AOMA students. More information about masters degree, job placement rates and program costs. AOMA's Master of Acupuncture and Oriental Medicine (MAcOM) program is rigorous and comprehensive and includes over 900 hours of clinical internship. Students receive education in acupuncture, Chinese herbal medicine, biomedical sciences, mind-body exercise, Asian bodywork, practice management, case management, and clinical communications. AOMA’s herbal program is one of the strongest in the nation and AOMA is one of the few professional programs to integrate taiji and qigong. Check out the curriculum. AOMA recruits and employs highly qualified and experienced faculty, many of whom are from China and other countries. The cultural diversity of the faculty adds another dimension to the educational experience of our students and the quality of our faculty assures students a sound knowledge base for practice. Our faculty includes PhDs, physicians, doctors of osteopathy, chiropractors, naturopaths, and pharmacists in a variety of areas. Our faculty hold degrees representing institutions in China, Israel, India, as well as the United States. Meet our faculty. AOMA graduates have discovered a life of passion and purpose – a life where professional achievement meets personal fulfillment. They have gone on to become private practice acupuncturists, herbalists, authors, university faculty, entrepreneurs, as well as pursuing doctoral degrees in acupuncture. They speak at national conferences, author books and journal articles about Chinese medicine and go on to teach at the graduate level. AOMA graduates are at the forefront of medicine, practicing in clinics that integrate Eastern and Western medical traditions. 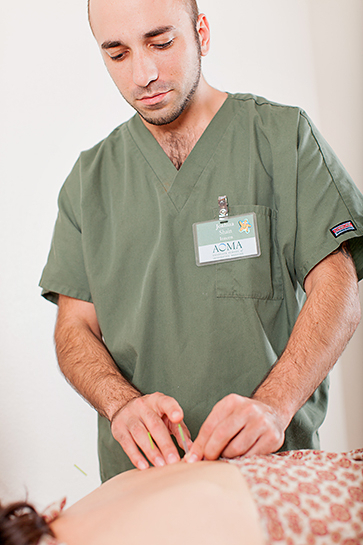 Read AOMA alumni spotlights for insight into real life practice after graduation. Austin is a vibrant city with a host of entertainment options for visitors. 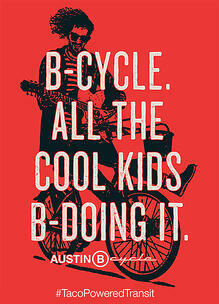 Austinites enjoy hiking, cycling, swimming, local food, and listening to live music. AOMA is fortunate to find itself encircled by many diverse communities in which our students actively participate. Students find ample avenues available to sustain their growth both personally and professionally as healers in a city noted for supporting a healthy lifestyle. Get helpful tips and information about travel, accommodations, and finding your way around the city to make planning your visit to Austin easy.